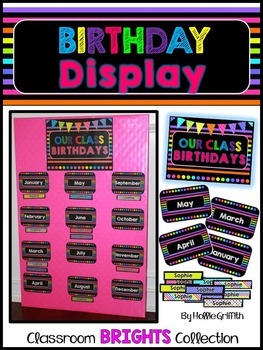 Brighten up your classroom with this BRIGHT Classroom Birthday Display. 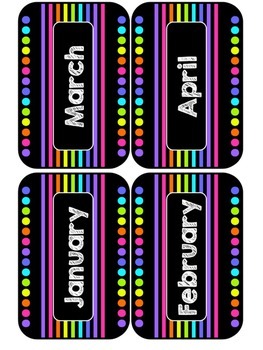 The months come in two sizes. The name plates are editable! You can simply put the names under each month, or hang the names on ribbon. 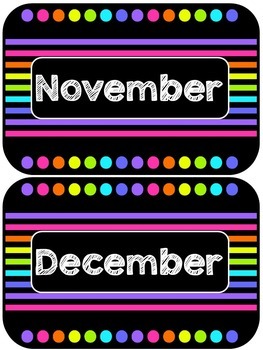 Another idea is to put student pictures under each month. I bought a thick poster board at Walmart and covered it with pink wrapping paper. I used the smaller size for the months and it fit perfectly on the board. (See picture) I think I’m going to hang my board on my door this year! 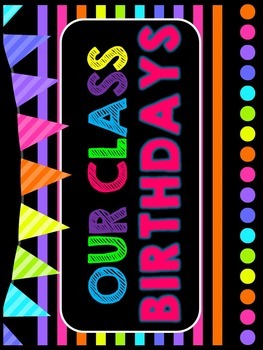 Check out all of my Classroom BRIGHTS Collection! You can save 40% by purchasing the bundle.